WHAT’S THE MINIMUM VIABLE BRAND YOU NEED TO BUILD A REPUTATION? Too many people confuse word-marks, graphic-marks & initial-marks. When we use the term “logo” we’re being pretty lazy. There are actually several different types of graphic device that can represent a brand. Lumping them all in together under the term logo means that clients, designers, marketers and entrepenuers can get pretty confused. Knowing about the different types of logo is important because it’s a bit like knowing about the different types of wine. If you know enough to ask the right questions. You’ll get a better finished product. The word logo is confusing and unhelpful when you’re going through the process of creating a new brand, especially for a startup or technology company. The visual system in which the logo is used is much more important. What I’ve learned from helping build the brand for the Innovation Warehouse in London is that the type of graphic device you choose depends on how much contact your audience has with you and how much you are willing to spend to support the brand. Nike have a graphic mark but started with a word mark and graphic mark locked together. There are three types of graphic device that get called a logo. The first type of logo is a graphic mark. This type of device has no words and no initials; it is simply a graphic element. The classic examples of graphic marks are the Nike swoosh or the Apple apple. They are powerful but it takes a high level of familarity or advertising spend to create the association of the shape with your company. The second type of logo is an initials mark, often these are very stylised, but the core of this device is the initials of the company. Examples of initals marks include IBM, CNN or VW. They are also powerful but you need to be willing to be known by your initials only. If you still want to keep your company name but your logo is your initials, you’ll be running a two horse race and splitting your resources. The third type of logo is a word mark. This is a stylised treatment of your company name. Examples would be Microsoft, Gap and Coke. Word marks are much under appreciated. I’ve learned the hard way that for a technology company, a word-mark should be the go-to graphic device. Lean branding always uses your business model as the starting point for brand descisions. So let your company stage dictate the type of logo you go for. Early on, when your goal is to make a credible first impression then a wordmark will make it easy to understand who you are. As you gain traction you can easily transition to an initials mark or graphic mark. 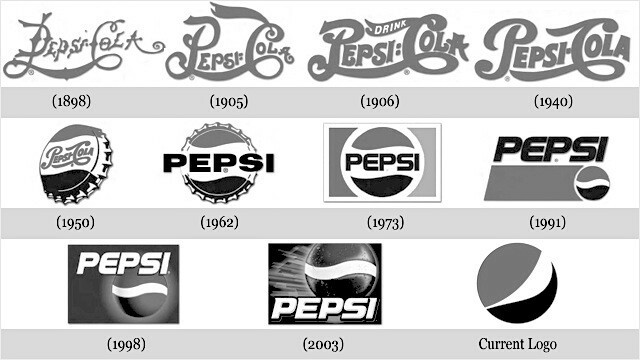 Pepsi have evolved from a word mark to a graphic mark but this doesn’t mean that you should start out with just a graphic mark yourself. A lean brand will have several modular graphic elements that you can choose from for each application. Some designers give you a word mark, an initials mark and a graphic mark for a single brand. Its important not to confuse them, or to use the them together unnecessarily. A “lock up” is a rule for how to position and scale two graphic elements together. The way the word Microsoft is sized and positioned relative to the Windows logo is a classic lock up rule. Bad graphics designers often create an initial mark or graphic device and permanently lock it up next to the word mark because the company’s name is new and unrecognised. This looks fine in photoshop or even on the designer’s portfolio page. But it’s a nightmare to implement. A mushed together word mark and graphic mark means that you loose the simplicty of the graphic mark and loose the clarity of the word mark. If your logo has both words and graphics you have the worst of both worlds. If your company initials are not immediately recognisable (to your target audience), then using an initial mark by itself will not be sufficient for most applications. In this situation, you’ll be tempted to use the word mark as well as the initial mark at the same time. This is a common, but fatal branding mistake. You can quickly end up with an initial mark stamped, unnecessarily, all over your collateral. Imagine a T shirt with your graphic mark enlarged on the front, and your word mark on the sleeve. This is the common (and incorrect) ratio applied by young graphic designers. For most startups, it would be much more powerful to have the word mark on the front of the T shirt and the graphic mark as an accent on the sleeve. 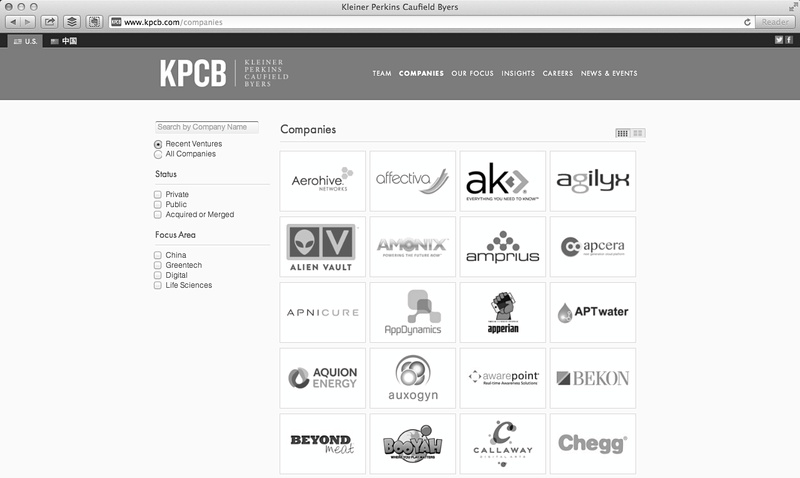 Silicon Vally investors KPCB have a portfolio of awesome companies. They’ve all invested in distinct but readable logos. Relying on a graphic mark as the main logo is something that only fast moving consumer goods companies should do. It is a mistake for start-up and technology companies to lead with the graphic device. Instead, you should make it easy for your audience to recognise you (by reminding them of your name through a strong word mark). These days the first thing a startup often designs is the iOS app icon. This is fine, but don’t suddenly start slapping the icon on stickers for your laptop. Early on, you’ll still need the word mark to create word of mouth and recognisability. The reason that I say there is “no such thing” as a logo is that your logo doesn’t exist in isolation. It’s only ever seen by your audience in context. That context is a design system. The reason you can recognise a brand isn’t the logo, it’s the overall visual design system. A design system includes secondary graphic elements, colours, fonts, illustration styles and a photography style. A notable example would be the Absolut Vodka bottle silhouette, it’s not a logo but it’s a recognisable shape and it fits into a recognisable design system. I’ve seen too many designers present a logo to a client as if the logo was the end of the branding project. This type of lazy logo design makes me sad. If I could choose between a robust design system with no logo, or a strong logo with no surrounding system, I would choose the system every time, and so should you. 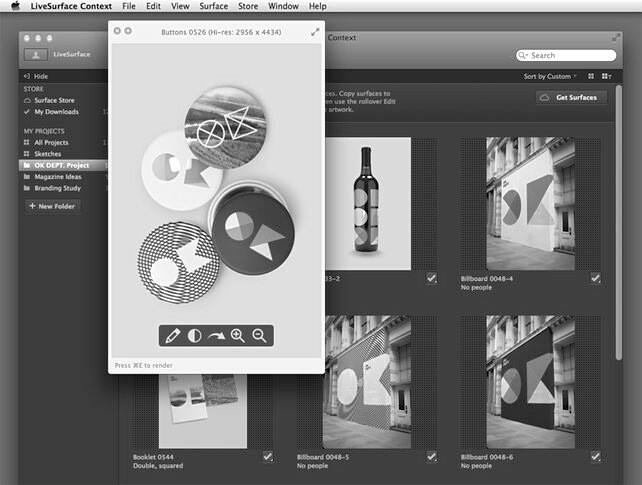 Mock up tools allow designers to show a brand in use. This is vital for Lean Branding where things can change fast. I’d like to see this in situ. Can you create a scamp of this in use? Could you show this idea as a mockup? You want to see the whole brand in context and in use. 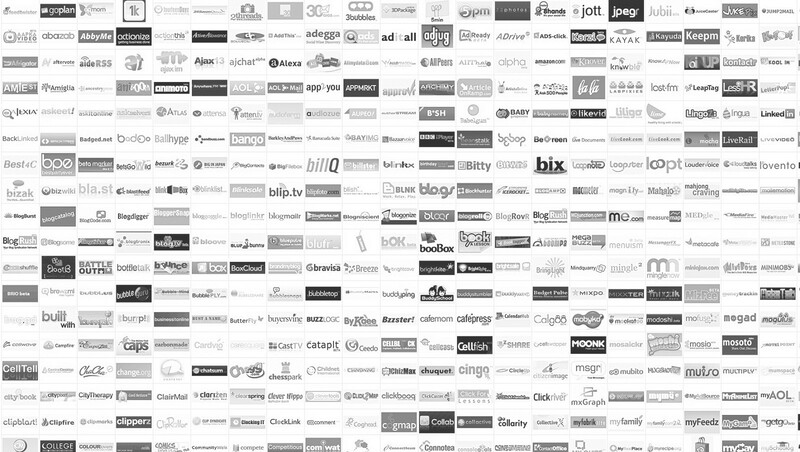 These days there are lots of tools and templates for designers to show how a brand would look in practise. It’s worth the extra work to use them. A logo is not the most important part of a brand. In lean branding, its the design system allows for rapid iteration and just-in-time creation of collateral. For a startup or technology company, the design system is more important than the logo.